The privatisation of public education is attracting a lot of attention around the world but what is happening within public schooling is falling under the radar. Increases in commercialisation in public schooling, both in Australia and internationally, is attracting less scrutiny. Commercialisation is the creation, marketing and sale of education goods and services to schools by private providers. With commercialisation private providers work with and within public schools to support schooling processes. They don’t take over the delivery and running of schools in the way privatised school models work, such as low-fee for-profit schools and some Charter schools in the US, Academies in the UK or Free Schools in Sweden. In the commercialised school, public monies intended for public schooling are being used to fund the operation of commercial businesses. However, the scope of commercial activities in schools remains largely invisible to taxpayers, as commercialisation has crept into schools as a seemingly necessary way to deliver education in the 21st century. On this point it is worth noting that commercialisation has had a long (and relatively uncontroversial) history in schools, beginning with commercially produced textbooks which have been around since the early 20th century. Similarly, schools have tended to involve the private sector for transportation services, food supply and specialised instruction and facilities. However, since the 1990s many educators have become interested, and concerned, about the scale and scope of commercialisation. In Australia for example, the creation of a national system of schooling (e.g. the Australian curriculum, NAPLAN, a national funding approach) has helped create an economy of scale that is attractive to businesses who now have the opportunity to become major suppliers to school systems in local education markets. Commercial providers can utilise increasing standardisation to offer ready-made ‘solutions’ to the various education ‘problems’ schools are facing in improving student outcomes at scale – meaning they can develop a product and sell it nationally. These services complement and supplement basic education facilities often in a context where bureaucratic or central support is being withdrawn. These services include the provision of curriculum content, assessment services, data infrastructures, digital learning, remedial instruction, professional development for staff and school administration support. Not all aspects of schooling have become commercialised. A lot of teachers are doing what they have always done and are going about their business without engaging in commercialisation. However, there are particular services that are considered useful, even necessary for teachers to effectively do their jobs. Our recent research commissioned by the New South Wales Teachers Federation, the largest teachers’ union in Australia, about the extent of commercialisation in Australian public schooling, surveyed AEU members and found that 40% of the participants suggested resources and curriculum materials that supported their development of innovative learning experiences were important. Indeed, 28% of teachers reported they regularly use commercial lesson plans. Similarly, many participants argued that ICT and technology solutions including things such as attendance and timetabling software, as well as programs that assist in the recording, summarising and reporting of student assessment were absolutely necessary to purchase from the private sector, particularly because teachers, school leaders and even Education Departments do not have the skills or expertise to develop these services and programs themselves. Those responses that argued for some level of commercialisation in public schools tended to offer a caveat for commercial assistance, suggesting commercial providers should not be able to influence school, state or national decisions about curriculum, pedagogy or assessment. What teachers and school leaders did express concern about was the idea that increasing commercialisation would lead to an intensification of the de-professionalisation of teaching. For example, some respondents referenced their unease with the outsourcing phenomenon in schools, particularly in Health and Physical Education (HPE). This means that rather than employing a specialist HPE teacher, schools contract an external provider to come in and deliver HPE for them. Often this results in sports coaches rather than teachers delivering these lessons. An associated concern with this shift is that these providers are not 4-year, university trained teachers and far from experts in curriculum, pedagogy and assessment. Ultimately, this jeopardises the academic value placed on subjects like HPE. Others expressed concern about how the costs of commercial programs were being transferred to parents. For example, one participant observed that at their school parents are asked to pay for their child’s subscription to online learning programs, and if they were unwilling or unable to pay, their child would not be able to use the program while all other students could. Given our research is exploratory we do not know how common this practice is, but it is certainly cause for concern in the public education system that has historically been considered free and based on principles of social democratic equality. Interestingly, it was this traditional, social democratic view of public education that many teachers argued was being jeopardised by the increasing commercialisation of schooling. 72% of respondents had significant concern that schools were being run like businesses and 68% were significantly concerned about the notion that schools will be increasingly privatised and commercialised, following the path of reform in the US or even in Australia’s own VET education sector. Respondents to the open-ended survey question called on governments and Education Departments to learn from these failed models and implement stricter regulations about the role of commercial providers in schools. It must be stressed that this survey was intended as an exploratory study. As this is the first research of its kind in Australia, it is important to note that all exploratory studies suffer from limitations, which means that it is not advisable to assume causal conclusions as a result. We are only just beginning to map this phenomenon in Australia and we need further research to understand the affordances of commercialisation, because some commercialisation in schools is inevitable. But we also need to consider at which point commercialisation has detrimental effects on the rationale for public schooling. It is clear we need a strong and informed system to help regulate commercial activities in public schools and ensure that we are putting student interests before profits. Education is increasingly positioned as a problem in need of fixing. Faced with demands for accountability and transparency in public policymaking, governments are constantly looking for solutions that are informed by ‘evidence’, are expedient and cost-effective, and likely to get favourable media coverage. Educational research that underpins policy has traditionally been the domain of academics and in-house government employees. However, international organisations, aid agencies, philanthropies, think tanks and corporations now offer their own research solutions to these perceived educational problems. These new ‘actors’ in the field produce and promote usually short, easy-to-read and easy-to-implement glossy reports, which offer simplified evidence and give definitive solutions involving ‘best practice’, and where research knowledge is orchestrated to best influence government policy. Evidence is tailored to the needs of policymakers but also fits within the report generator’s own interests and agendas. We call this type of report ‘fast policy’; that is, policy shortcuts via readymade examples of ‘what works’, which are often borrowed from other countries (or systems) and cherry picked to meet political needs. We decided to have a closer look at the new genre of ‘fast policy’ reports and its potential impact. To do so, we focused on three different examples: a transnational intergovernmental organisation (the Organisation for Economic Cooperation and Development’s PISA for Schools report), an international edu-business (Pearson’s The Learning Curve) and an Australian state (the New South Wales Department of Education’s What Works Best). We did this to show how all three documents promote an overly simplified, decontextualised and ‘one-size-fits-all’ understanding of schooling policy, which often risks overlooking the local needs and requirements of the schools, school systems, educators and students for whom these solutions are being proposed. This is a 2-hour written test that assesses how well 15-year-old students can apply their acquired knowledge in reading, mathematics and science to ‘real-world’ situations, despite being administered as a paper-and-pencil and, more recently, computer-delivered assessment. Significantly, PISA for Schools departs from the triennial main PISA test on which it is based, and where the nation-state is the usual unit of analysis, by instead benchmarking local school performance against the performance of national (and some subnational) schooling systems on main PISA. This testing positions schools within a global space of measurement and comparison, in order for them to engage with, and learn from, the policy expertise offered by ‘high-performing’ international schooling systems and the OECD itself. To facilitate this policy learning, all PISA for Schools participants receive a 160-page report. This contains not only the analyses of their school-level student performance but also 17 predetermined examples of best practice from high-performing schooling systems, as well as hypertext links to other OECD publications and research. This is a website, online data bank and biannual report developed by the world’s largest edu-business, Pearson, and represents a significant component of Pearson’s transformation from a supplier of education products and services towards becoming a global education policy actor. TLC is populated by educational performance data collected by organisations such as the OECD, the International Association for the Evaluation of Educational Achievement (IEA), the United Nations and the World Bank. It works largely by presenting Pearson as having expertise in education policy analysis. The website and associated materials function to show how Pearson can have a positive benefit to global policy debates, system reform and improved outcomes for individual learners. Users on the TLC website can view and interact with various data profiles that compare education by countries, through time and by outputs. There is also a range of stories and videos to support the idea that Pearson is out to ‘change the world’. This is a 32-page report produced by the Centre for Educational Statistics and Evaluation (CESE), an organisation within the NSW Department of Education and Communities. The CESE’s raison d’etre is to develop evidence and resources that can support school-level educators in their search for ‘best practice’. WWB promotes seven indicators of effective classroom practice that can, by extension, improve student performance. These include high expectations, explicit teaching, effective feedback, the use of data to inform teacher pedagogy, classroom management, well-being and collaboration. Interestingly, each of these seven themes is prefaced in the report by a series of ‘Key Points’, reducing otherwise intractable problems into three or four readily implementable dot points that teachers and school leaders can use to improve their practice. These best practice themes are presented in terms of three underlying questions (Why it matters; What the evidence says and Implications for teachers and schools), which explicitly link certain effective practices – ‘what works’ or ‘silver bullets’ – to improved student performance. Despite the reports being produced by an intergovernmental organisation, an edu-business and a state government department, there is a clear similarity between them that reflects what we describe as a ‘convergence of policy method’. This is akin to different cookbooks being readily recognisable as cookbooks, even if the recipes (or policies in this instance) contained therein are not necessarily the same. These three reports are evidence, to us, of a new way of speeding up policymaking. Many other assessments, such as PISA, TIMSS and PIRLS are conducted every three or more years, and are thus seemingly too ‘slow’ for the data-driven policy demands of governments, policymakers, educational systems and (increasingly) the public. Schooling reform is regularly demanded so ‘quick-fix’ solutions are needed. As such, the desire for fast schooling policy has created a new global market awash with the same reform ideas. In this case, an international organisation, an edu-business and a state government have all adopted similar approaches to schooling reform, notionally to improve student outcomes and drive up standards. There is a sense that ‘best practice’ in schooling is now the same in every country around the world, and that there is a limited need to account for national, social, or cultural context. So while this new policy genre is ‘fast’ in terms of speed, we argue that it also constitutes the notion of ‘fasting’ (that is, to deprive or deny), where the over-simplification of policy into easy to implement solutions constrains the possibilities for reform, and denies local alternatives to be imagined and practised. We suggest, in spite of the seemingly obvious alignment between fast policies and a fast social world, that good policy might come from slower and more complex processes, where education is not a problem to be fixed but a way to a better future for our particular children in our particular education systems. Steven Lewis has just completed a PhD in the School of Education at The University of Queensland addressing the development and effects of the OECD’s PISA for Schools programme. He is now working as a researcher on two Australian Research Council-funded research projects, one focusing on data infrastructures in education (DP150102098: Data in Schools and Systems: An International Study) and the other on educational federalism (DE160100197: National Schooling Reform and the Reshaping of Australian Federalism). Steven has recently published in the British Journal of Sociology of Education, Comparative Education Review, Critical Studies in Education and Journal of Education Policy. He also has chapters in three recent and forthcoming volumes. These are the Handbook of Human and Social Conditions in Assessment (Routledge), The OECD’s Impact on Education Worldwide (Emerald), and the Oxford Research Encyclopedia of Education (Oxford University Press). 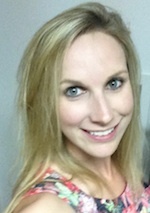 Anna Hogan is a lecturer in the School of Human Movement and Nutrition Sciences at the University of Queensland. Anna has been researching the role of global edu-business on education policy and practice. She is currently working on projects that investigate the privatisation of Australian public schooling, the effects of curriculum outsourcing on teachers’ work and the commercialisation of student health and wellbeing. Anna has recent publications in the Australian Educational Researcher, Journal of Education Policy and Critical Studies in Education. Steven Lewis and Anna Hogan’s recent paper in Critical Studies in Education – ‘Reform first and ask questions later? The implications of (fast) schooling policy and “silver bullet” solutions’ – explores the uptake of this new genre of ‘fast policy’ reports and highlights the potential impacts that can arise when employing such policymaking approaches. Global education business, Pearson, continues to find new ways to make a profit from the education of children around the world. As its influence and profit growth stagnates in many economically developed countries, where it has made billions of dollars from providing standardised testing regimes and associated services, it has turned its attention to economically developing countries. Pearson is growing its business in counties in Africa, South America and Asia, including India, where nations struggle to provide national systems of schooling. I believe what it is doing in these developing nations is perhaps even more insidious than the way it profited from helping impose a testing mentality to almost every major schooling authority in almost every developed democratic country. Pearson is a big provider of textbooks, learning resources, assessment services, online learning needs and teacher professional development. Providing these services to economically developed countries such as the USA, UK and Australia has proved lucrative for Pearson over the past decade. Just last year it made over $5 billion in global sales and over $1 billion in adjusted operating profit. While these figures are comparatively strong, since 2012, Pearson hasn’t experienced any significant overall growth as a company. In fact, last year Pearson suffered a 40% drop in share price performance and has recently announced the need to cut 10 per cent of its global work force or 4,000 jobs. This performance can be explained by a number of factors to do with the stabilisation and even reduction in sales in Pearson’s core markets. For example, let’s consider Pearson’s assessment business. At the turn of the 21st century standardised testing could be found at the core of many education systems, and the mandate for annual testing worked to open the space for commercial education providers to prosper. Against this backdrop, the education market was reinvented around test development and preparation, data analysis and management and the related provision of online curricular and remedial services in an attempt to improve students’ performance outcomes. Yet, the weight of evidence suggests that standardised testing has failed to improve education outcomes. Instead, standardised testing has been blamed for a narrowing and simplifying of curriculum that has undermined both teaching and learning. Given this, policy has started to change. The passage of the Every Student Succeed Acts (ESSA) in the USA (a reform to the No Child Left Behind policy) has given power to the States to decide how they test their students. To put this in context in Australia, the USA has effectively scrapped their NAPLAN type tests and allowed their states and territories to decide how, when and what they will assess their students on. This move has obvious consequences for Pearson. Without nationally defined standards many of the large-scale tests developed by Pearson for national use are no longer required. This means that the testing market has been opened up to competition from lower cost alternatives, confirming Pearson no longer has the monopoly it once did. However, the answer to some of Pearson’s testing woes in economically developed countries has presented itself in economically developing countries. Pearson’s Affordable Learning Fund (PALF) has made an $80 million investment in low-fee private school chains in Southern Africa, Asia and India. Pearson’s rationale for investing in low-fee private schools is based on the charitable notion that it is delivering an education to students in countries where access to public education is limited or nonexistent. While such schools might be low fee, they constitute a high percentage of the disposable income of poor families, often resulting in gender discrimination where boys’ education is given priority over girls’ education in the same family. Moreover, low-fee private schools that will generate profit is economically dependent upon the employment of un- and under-qualified and very lowly paid, non-union organised teachers often using scripted pedagogies. These schools have few physical resources (e.g. computers, science labs, sporting facilities), large class sizes and there is little evidence to support the effectiveness of low-fee private schools. This business strategy is based on the growth ‘markets’ that exist in countries of the developing world. Pearson says there is a ‘unique opportunity to capitalize on the emerging middle class’of almost 3 billion people who now earn enough money to invest in education to either improve their own or their children’s lives. The outcome of this investment by Pearson challenges the aspiration that a free, high-quality public education for all is central to democracy and a socially just society. Through PALF, Pearson is working to replace or negate the responsibilities of governments to develop a public education system that affords the right of every child to access a free education. Many of these countries do not have strong legislature around for-profit schooling and even welcome the ‘solution’ that low-fee private school chains offer. Thus, Pearson has a new market to flourish in. As I see it educators need to call out the significance of Pearson’s actions. The social, political and economic fallout for the countries where low-fee private schooling is growing are inevitable and may well have global consequences. NAPLAN testing is orchestrating a high-stakes environment in Australian schools where schools, teachers, students and even parents feel the pressure to perform and do well. Edu-businesses are capitalising on this high-stakes environment for commercial advantage. Schools and governments now purchase products and services that are explicitly tied to test development and preparation, data analysis and management, remedial services and online content. American academic Patricia Burch, claims that the test industry in the USA is worth $48 billion per year. While it is difficult at this stage to put a precise figure on Australia’s test industry, it is increasingly obvious that the NAPLAN market is rapidly growing. The NAPLAN market includes practice tests, student workbooks, online programs, tutoring, teacher professional development, data analysis services for schools and so on. For example, the Australian Council for Educational Research (ACER) offers a number of progressive achievement tests (PAT) to provide norm-referenced information to teachers about their students. Schools often purchase a PAT test in Mathematics or English at a cost of $7.50 per student, and subsequently utilises this data to identify their student’s strengths and weakness in preparation for NAPLAN. Similarly, there are online resources like ‘StudyLadder’ or ‘Excel Test Zone’ that offer sample style NAPLAN questions to help students prepare for the test. There are also companies that target the insecurities of parents. Services such as ‘NAPLAN tutor’ offer a membership for $79 that will allow parents to access a range of NAPLAN tutorials. Private tutors also offer NAPLAN specific services. Some edu-businesses now offer professional development and data analysis services to schools and teachers. For example, ‘Mighty Minds’, ‘Seven Steps’ and ‘Count on Numeracy’ all offer NAPLAN specific workshops. Seven Steps displays the following testimonial on its website: ‘Two of our teachers attended your seven steps seminar last year. They used the program in the Grade 3 cohort. Our NAPLAN results in those two grades were outstanding’. Similarly, Mind Matters suggests that its NAPLAN workshop will ‘focus on revising fundamental skills that are essential for students’ school careers and will prepare them for the NAPLAN test’. This type of marketing capitalises on the anxieties of schools and teachers. Pearson was among the edu-businesses that were contracted by the States and Territories in their delivery of NAPLAN. In 2012 every State contracted the printing and distribution of the NAPLAN tests to Pearson, with the exception of Queensland who contracted Fuji Xerox for this process. The actual testing of students occurs in schools under the direction of school staff and the subsequent marking of the test is a process overseen by most of the relevant educational authorities in the States and Territories. However, in New South Wales, Victoria and the Australian Capital Territory, this process was also contracted to Pearson, and it became responsible for recruiting, training and paying NAPLAN test markers. For example, this contract is worth $41.6 million in NSW. This presents Pearson as a central agent in the NAPLAN policy network, and moreover, suggests it has significant contractual obligations with Commonwealth, State and Territory governments. Edu-businesses are at work elsewhere in Australia. They are also contracted by the Australian Curriculum, Assessment and Reporting Authority (ACARA) in the development of the test and the analysis and reporting of the results on My School. For example, in 2012, ACARA spent over $4 million contracting ACER, Pearson, Educational Measurement Solutions and Educational Assessment Australia for a range of services. Some of these services included item development ($2,075,717), trialling of the test items ($681,253), equating of the test items ($527,848) and analysis and reporting of the results ($610,247). NAPLAN clearly represents the emergence of new ‘business opportunities’ in Australian education policy. Edu-business, from multinational corporations like Pearson to smaller national providers such as ACER now contribute to education policy and practice in various ways. In this environment ‘contractualism’ or partnerships between the public and the private sector have become the new normal. ACARA argues edu-businesses are an important and necessary component of developing NAPLAN and similarly, schools and teachers embed products and services from the private sector across all aspects of teaching and learning, particularly in regards to NAPLAN preparation. My concern is that edu-businesses are increasingly contributing to policy development and teaching and learning practices in ways that have displaced traditional expertise. For example, according to ACARA, NAPLAN is delivered by ‘experts’ across the field. It seems problematic that experts in this case are not teachers, curriculum developers or even university researchers. Instead, experts are constituted by their ability to offer ‘value-for-money’ on competitive tender applications. Edu-businesses are now closely associated with the role of policymaking and the state. What groups are becoming excluded from, and included in, processes of public policy? Another concern I have is that the products and services schools and teachers are engaging with in preparation for NAPLAN are often shaped by ‘generalists’ with little classroom experience or formal research background in education. Many of these products are underpinned by agendas of profit making, not evidence. Similarly, there are potential conflict of interest issues in which edu-businesses like Pearson are contracted to develop aspects of NAPLAN, but also create revenue through marking the NAPLAN test and the selling of resources to improve student’s NAPLAN results. Of course, some of the work the private sector does is legitimate and important to how we deliver public education effectively. However, if edu-businesses continue to proliferate like they have in recent years, education has the potential to be monopolised by for-profit agendas. We must move beyond the rhetoric of edu-businesses in their promises to transform education and offer solutions to our problems. Instead, we have a responsibility to engage with the private sector more critically and make sure we protect public education and our expertise as deliverers of it. How big business is taking over public schools: is this what we want for Australia? ‘Education will be the biggest growth industry of the 21st century,’ according to Pearson, the world’s largest edu-business, which provides educational content, resources and customisable services, such as online and adaptive learning technologies. With its $9.5billion in sales last year, it is clear that education is proving quite profitable for Pearson and its shareholders. In general, edu-businesses – from multinational corporations, to smaller national providers and even individual entrepreneurs – now offer education ‘solutions’ to national governments, school systems, and civil society through an extensive range of increasingly sophisticated products and services. The extent of their activities is such that edu-businesses now appear to be powerful, monolithic entities, taking control of our public education systems with little concern for the rationalities that might stand in their way. Yet, in the wake of financial crises and much talk of growing inequality, it is now near impossible, for private corporations to avoid the ‘goldfish bowl’ of public scrutiny. Pearson, in particular, has been the focus of much critique about the increasing privatisation of education. For example, activist blogger, Diane Ravitch, who was the former Assistant Secretary of Education in President George W. Bush’s administration, and now an outspoken opponent to what she calls the ‘Pearsonization’ of American schooling, argues that despite Pearson’s altruistic claims about its mission to improve people’s lives through learning, its activities are unquestionably linked to investor interest. In response to this context, Pearson has been implementing a new business strategy over recent years, in which it now focuses on its accountability as a socially responsible business. According to Pearson, this goal is achieved through its focus on efficacy, whereby all its products and services will have a proven, measurable impact, on learning outcomes. Indeed, Pearson intends to report on efficacy alongside its financial accounts by 2018. As Pearson summarises, this ‘enables us to put our social impact at the very heart of our business’. Efficacy for Pearson then, isn’t just about making a sale, but being accountable for the outcomes its products and services promise to deliver. Much like the rationale of the pharmaceutical industry, Pearson’s new focus on efficacy is an attempt to build trust with its customers through recourse to an ‘evidence base’ that legitimises its activities. There is a sense here that if Pearson wants to position itself as contributing to the public good, it is necessary to be seen as transparent and accountable. To this end, Pearson has embraced accountability as a way to conjure a moral dimension to its ‘mission’, presenting itself as a corporation focused on a double bottom line of profitability and responsibility. Yet, given Pearson has no democratic constituency (and is only responsible to its shareholders for profit making), can it be truly responsive to the public interest in education? Of course, we would likely claim it cannot. The very accountability mechanisms made available here assume ‘efficacy’ as a driving purpose, thus working to exclude debate about the broader purposes of schooling informed by the views of teachers, parents, students and other publics. By claiming that Pearson products will guarantee learning outcomes, the complexities of teaching and learning in our incredibly diverse school environments are entirely disregarded. Indeed, there is a huge professional deficit in these developments where teachers are constructed as simply the implementers or enactors of Pearson products, with no legitimate policy development interests. In some ways, Pearson seeks to openly embrace its responsibility for contributing to learning opportunities and outcomes that would previously have been considered the responsibility of governments, seeking to position the company as a publicly accountable policy actor and its products and services as legitimate alternatives to the public provision of education. Such a strategy is indicative of Pearson’s desire to become a major agent in global education policy processes; it seeks to engage with these accountability processes not simply as an edu-business, but as an actor that is considered to be influential and responsible in ways similar to national governments and international organisations. It’s important to stress that Pearson has legitimate business interests in education, like being contracted to construct tests or sell textbooks. But certain aspects of public education, including its democratic governance, are worth defending. The American public has issued us a warning; Pearson has taken over the direction of their public education systems. It’s time for the Australian public to act before we find ourselves in the same position. We need to stand up and fight for what we believe in as a democratic society; free, universal, publicly provided, quality schooling.